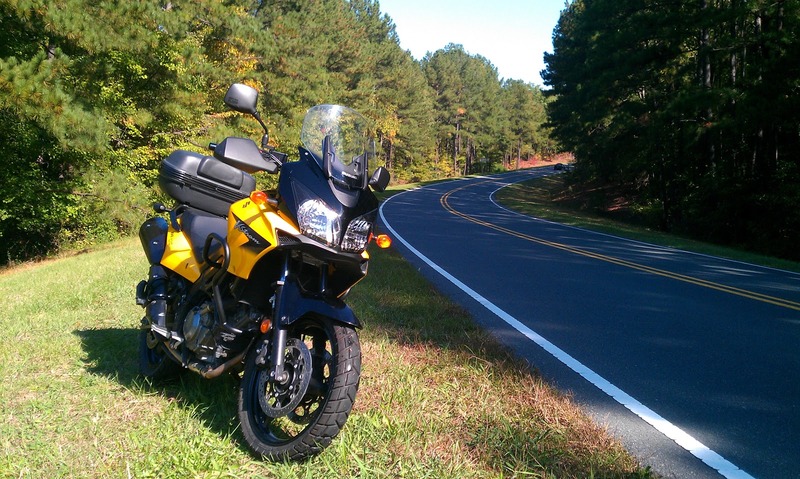 This past week I took delivery of my new bike, a 2008 Suzuki V-Strom 650, affectionately known among motorcyclists as the "Wee-Strom" because it has a 1000cc big brother. Amazingly, I won it through an eBay auction that I stumbled across in early October. I placed a bid thinking it would never stick, and what do you know, come Sunday morning I was the winner! Getting it home was interesting...I bought the bike from MaxBMW in New Hampshire. I hatched a plan to fly and ride, but with little Brian only being 3 months old, we thought it best to ship the bike and not have me gone a long weekend. 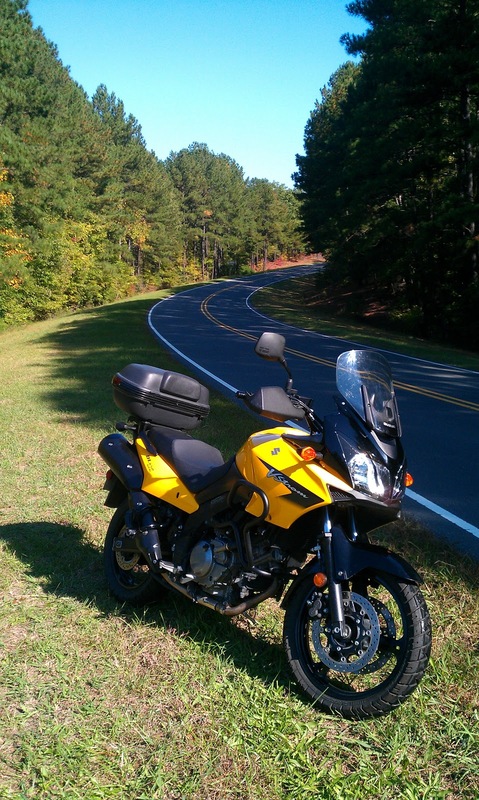 So 2 agonizing weeks later, the bike is finally mine! Why a new bike? 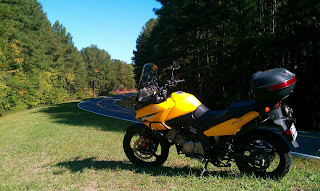 The V-Strom is an altogether better bike for my purposes than my previous ride. Mainly, it's a lot more comfortable all around. The ergonomics are better, the engine is smoother, the wind noise is better on the highway, and so on. It also is considered a dual-purpose bike that will perform reasonbly well off-road in good conditions, which is where I'd like to go if the opportunity arises. It's no motocross bike, but it'll handle packed dirt and gravel roads easily.